for $229,900 with 5 bedrooms and 3 full baths, 1 half bath. This 2,260 square foot home was built in 2007 on a lot size of 0.1840 Acre(s). TONS OF SPACE IN THIS WELL MAINTAINED 5 BEDROOM HOME W/ A FULL FINISHED BASEMENT IN THE MASCOUTAH SCHOOL DISTRICT! This home offers over 3, 000 sq ft of living space & is ready for a new owner. The spacious kitchen features staggered cabinets w/ molding, a planning desk, breakfast bar, pantry & all stainless appliances that are included. The formal dining room is open to the kitchen which is perfect for entertaining. There is a sliding glass door off the breakfast nook that leads to a patio & large level lot. Upstairs is a large master bedroom & three other ample sized bedrooms, some of which offer walk-in closets. The lower level is finished w/ a family room, 5th bedroom & another full bathroom. Other features include main level laundry, covered front porch, six panel doors, fresh paint & nice landscaping. 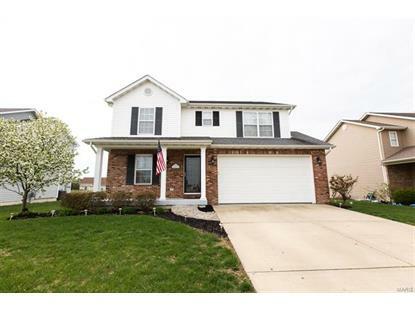 Close to Scott AFB, interstate, shopping & restaurants. MUST SEE!